On today’s stop, you’ve landed in Lancashire, part of the North-West in the United Kingdom, in the vicinity of the Darwen Tower – an octagonal structure also known as the Jubilee Tower, completed in 1898 to celebrate Queen Victoria’s Diamond Jubilee. It was opened to the public on September the 24th, 1898. Walking on the moors, climbing a stone spiral staircase, 85 feet up is always worth it. Vistas as far as Morecambe Bay and an accompanying stiff breeze, clear one’s mind and fire lots of inspiration for new adventures, already part of my new Works in Progress. Here I am at the top of Darwen tower, proud to have walked the steep uphill and climbed the stairs for the second time this season. Unfortunately my smile is rather frozen as if I’ve had a Botox injection, but my mind is already in overdrive, full of new stories. PRIZES I’M GIVING AWAY TODAY!! 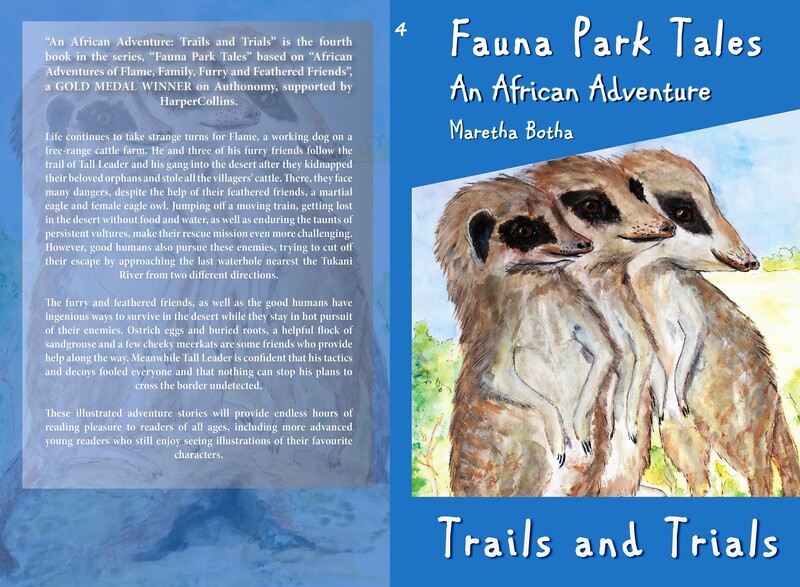 NINE black-and-white illustrated paperbacks of the first three books of FAUNA PARK TALES with subtitle, An African Adventure, to three fortunate visitors! And who knows, if you pop in at my Amazon Author Page, you might be able to download the eBooks which are on a KDP-Select special as well! So spread the news and make a children’s author happy by posting a short positive review on Amazon. Thank you! An update on the prize winners! 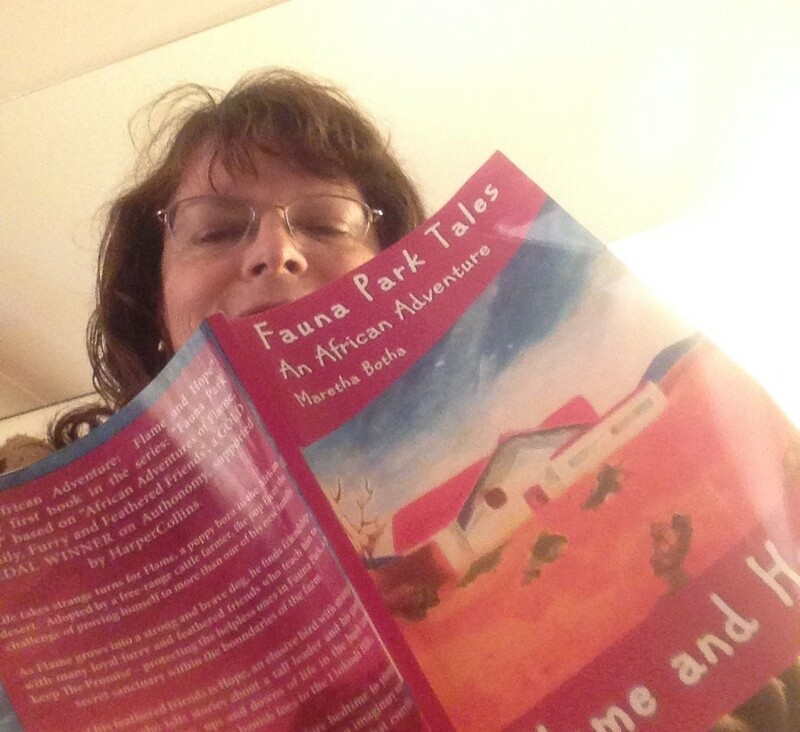 Each of these awesome RAVE REVIEWS CLUB MEMBERS received black-and-white paperback copies of the first three books of Fauna Park Tales. I hope they enjoy the stories, which I believe often take us back to our childhood and reliving memories of the “inner-child”. Happy reading! 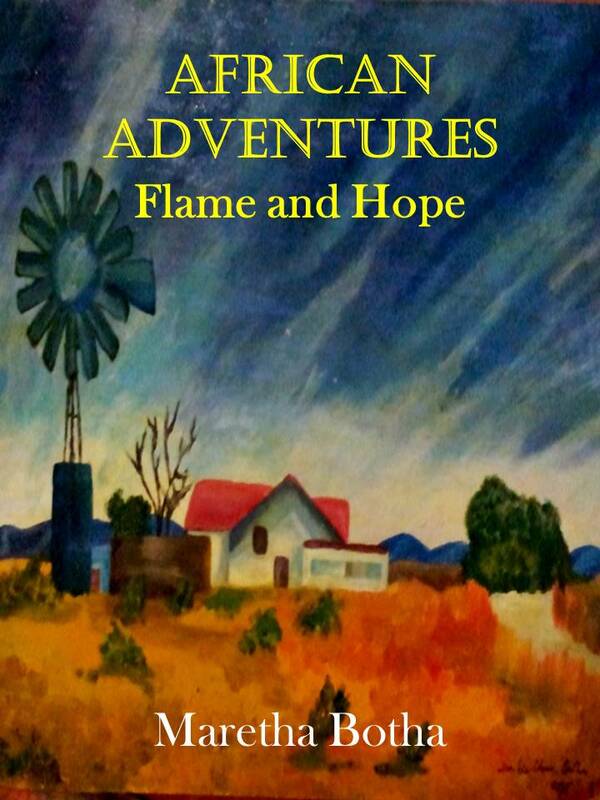 Flame and Hope: An African Adventure sets the scene for Fauna Park Tales – the Series, which was conceived while we lived on the outskirts of a game reserve in Mmokolodi, Botswana. 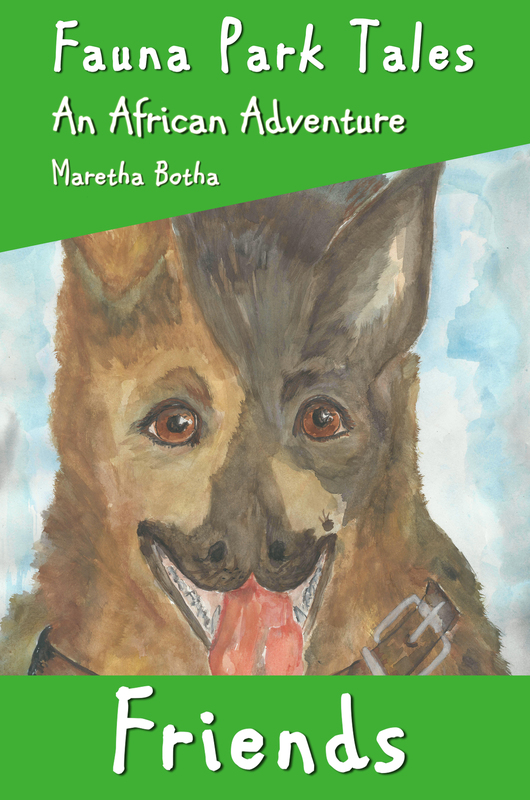 The series is based on the original “African Adventures of Flame, Family, Furry and Feathered Friends”, a GOLD MEDAL WINNER on Authonomy, supported by HarperCollins. The series strives to bridge the gap between Early Readers and Middle Grade (ages 9-13) and has illustrations, not only to enhance reading pleasure for better readers, but to serve as memory aids for younger readers throughout the series. Please bear this in mind when reading the introductory chapters of this first book to younger listeners and readers. Not many humans speak Faunalang – the bush creatures’ own peculiar language – a sought-after talent which bad ones want to use, and Flame and his furry and feathered friends will protect, without regard for their own safety. 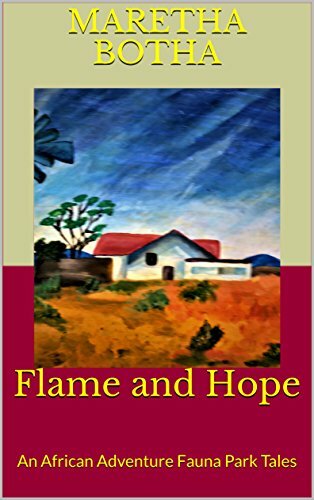 There are memorable characters – an elusive bird with pink eyelids and two martial eagles; two rats – one good, one bad; a stubborn goat who shows forcefully that ‘a promise is a promise’ and the good humans – the James family, Chief Monametsi and the Molodi villagers, as well as bad ones such as Tall Leader, and his band of poachers and cattle thieves. ‘LET’S KEEP OUR HOPE ALIVE THROUGHOUT EACH NIGHT AND DAY! 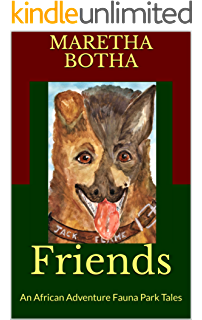 Book One: After a serious event affects him and his family in the desert, a young scrawny desert pup – Flame – is adopted by a free-range cattle farmer who lives in the Molodi valley, where he is known among the good humans as Jack Old Boy. There Flame grows into a strong working dog. No longer a skinny or scared pup, he and a few of his new friends on the farm are on a quest – The Promise – to protect and care for helpless creatures, just as Flame’s first mistress in the Kalughari taught him. Unexpectedly, a young martial eagle comes hunting in Fauna Park. No one knows where he comes from and when he finally kleeous defiantly, he does so in French! After grappling with him, Flame takes him to a safe hunting territory beyond the Llokodi Hills. Only time will tell whether this young martial eagle will become a friend or remain a foe. 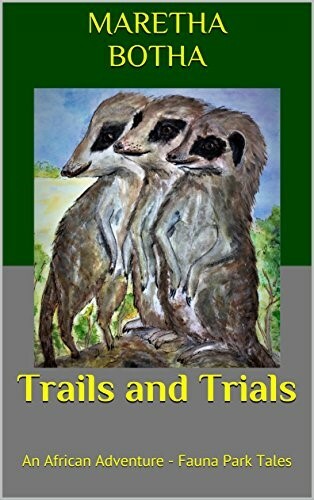 Book Two: When duty calls unexpectedly, Flame risks his life to save a vulnerable young zebra trapped by fearsome fires. A former foe becomes a friend, but during this particular rescue, Flame becomes very ill. Humans, as well as furry and feathered friends surround him with love and care. During this time, Hope finally tells him who he really is and where he comes from. Meanwhile, the chickens feed him two newly laid eggs every morning and the cats take over as his nurse aids. How all this care ends, especially when the good humans begin digging a hole in the ground when it seems as if nothing can save our hero from ‘new moaning‘, provides interesting reading and often hilarious moments. In this illustration, Flame and a young zebra foal are trapped, first by fires and then in a thunderstorm which quickly floods the area. A lone martial eagle circles above them, sounding warnings. Book Three: Bad humans are disturbing the peace in the Molodi valley, and two small orphans are in danger. One of them speaks Faunalang – a rare and wonderful talent – something which the bad ones want at all cost, but Flame and his furry and feathered friends stick to The Promise. 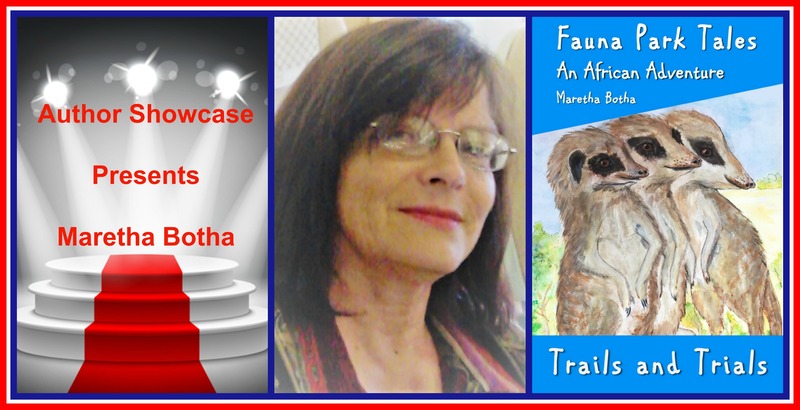 Young and old will enjoy reading about their latest thrilling adventures, when Molodi’s bush creatures meet friends and foes in their quest to protect helpless ones in Fauna Park. Plump-Grump, the stubborn goat, and his harem do their bit, but what will happen at the farm while Flame and his friends are on a dangerous mission? His Handsomeness, King Rat returns, but is he a friend or a foe? In this illustration, a bull frog who calls himself Fee-Far-Fun, overhears a chat between a greedy rat and a common mynah while they’re causing mischief in Fauna Park. Should you have a few moments to browse longer, read this post about why Children’s Indie Authors are grateful to receive reviews. You may want to visit Fauna Park Tales at their Facebook page. Please like our page and leave us a link to yours at the same time. Thank you! Here are other links for you to click on should you wish to follow and/or comment. Thank you so much for stopping by. 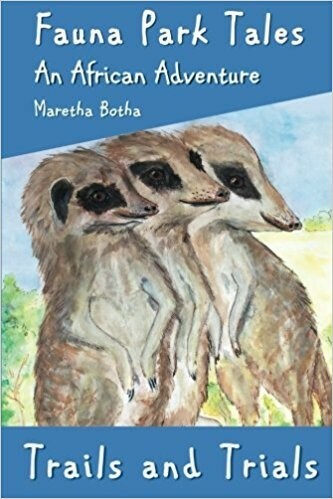 We hope you enjoyed this glimpse into the lives of the furry and feathered friends, as well as the humans who share this part of Southern Africa with them. Charming blog – enjoyed my visit. Thanks so much for visiting, Wendy! What an absolutely delightful post this is, with a grandson (Only 4 years-old) I’m constantly searching for books to keep and read to him as he grows and learns about the world around him. These beautifully illustrated tales and the lessons they encompass are just the type of book I know he will treasure. I do hope the rest of your party is joyous. Thanks so much for your kind words. I’m thinking about releasing some of the stories as stand-alone a with more illustrations tailored for younger readers, but I’m sure with a bit of explaining your grandson might love Plump-Grump the goat and His Handsomeness King Rat’s stories. Thank you, I’ve made a note of these titles. I’ll be certain to let you know what his reaction is. Thanks so much! 🤓I hope we have an opportunity to chat in the nearby future. Hi Maretha, good to know you. It looks as if you are also an artist, judging from your book covers. :). I will be checking out your books. Have a wonderful party today. Thanks so much for popping by. 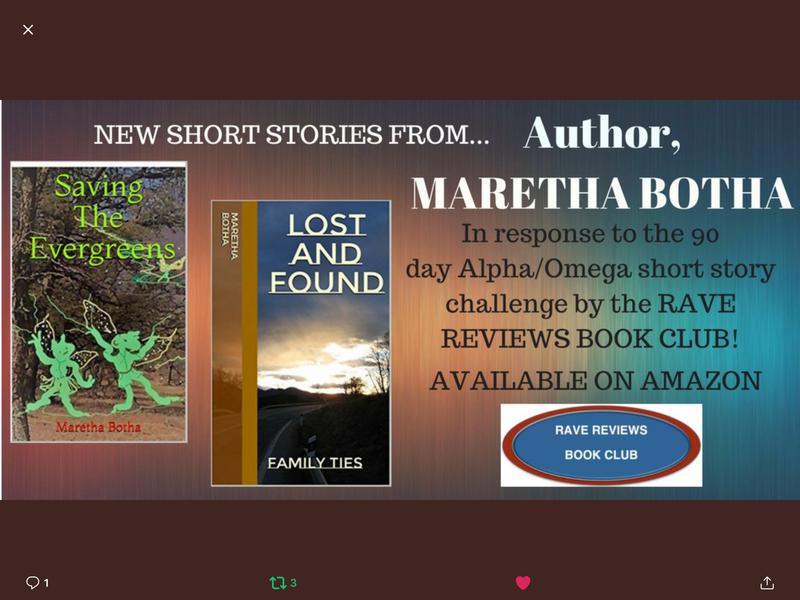 I’ve really enjoyed this month’s blog tour which has given me an opportunity to get to know fellow authors from RRBC better. What a lovely post, Maretha. The descriptions of your books and the drawings were beautiful, and I’m thinking of them for my grandkids. Thank you!! Thank you so much for your kind words. I’m very glad that you like the drawings and I’m sure your grandkids will enjoy them. The eBooks which are on free download today have the drawings in colour. All the best. I’m sure we’ll chat soon. I’m really impressed. We have such a diverse group around here. Writing children’s books has to be a special gift. You are very kind and I love your comments about children’s authors. I’m sure most of them will agree that we start off fairly confident to write something for a favourite child or writing down a memory, but then it becomes an obsession – a type of conscripted volunteer work which becomes a life-long profession. I’m sure it isn’t easy. The writing has to be short and concise, and the illustrations have to be worked out so they make sense. I’m impressed. Thanks so much for following my blog. Yes, I agree that sometimes I agonise over which word would be the best to use – something which still challenges a young mind – but at the same time, not so difficult that it discourages them from reading further. Thank you so much. You may want to download the eBooks today while they are on a KDPSelect special. Thank you for popping in. Much appreciated! Your books look great for kids. I love the illustrations. The view from Darwen must have been breathtaking. Have a lovely day at the party! The view is really spectacular up on the crest of the Darwen moors and up the top of the tower just that much more. These days it’s a real feat for me to get to to the top! But very worthwhile. Thanks for your comments, especially on the illustrations. Wonderful stories and illustrations. It sounds like you are heading along the same lines I am with the Bulgarian short stories, to teach about another culture. It is so nice to meet you, Maretha! I have five grandchildren and I read to them all the time. I love that you strive to bridge the gap between the 9-13 year olds. What fascinating adventures to share with children. Enjoy your party day!! Dear Yvette, I’m very happy to hear that your son might like the books. I always feel a bit cheated for the kids’ sake when I see how small Amazon displays the illustrations, but ask him to click on them. They SHOULD become bigger. Unfortunately, due to the expense for folks when buying this size paperback with colour illustrations, the expense is considerable, hence the use of an eBook. I would love to know what he thinks. Please bear in mind my comments on the first book’s introductory comments. Kind regards to you both! Dear Yvette, I sent an email to you, because you are a winner of a set of three books from me, but you’ve not responded yet. I just wondered if you perhaps might have to look in your junk mail? I’ve already sent off the other two winners’ prizes. Kind regards and hoping to hear from you soon! Well, if he likes the Chronicles of Narnia, he should be fine with Fauna Park Tales. Once he has read book three, which sets the scene for an exciting adventure in to desert, I wonder if he would like to be a beta reader before I release book four – hopefully before the end of the year. Book had its first edit and I’m basically holding up the prices – illustrations are not done😟 Please let me know. I would like to hear his opinion. Thank you so much, Yvette. Best wishes for now. Thanks Yvette, I hope to hear from you in future. Is his school having a special commemoration for Roald Dahl and his books on Tuesday? He was born a 100 years ago 🤓 And still as popular as ever! He didn’t mention anything to me. What an interesting post. I am always looking for children’s books so I will bookmark this and return. Nice job Maretha! Africa is always an interesting topic and its such a beautiful country. I couldn’t agree more! Africa is a place which inspires hope for the next day and that is how my characters deal with life’s ups and downs 🤓 Thank you for your encouraging comments which are so welcome! Thank you, John! 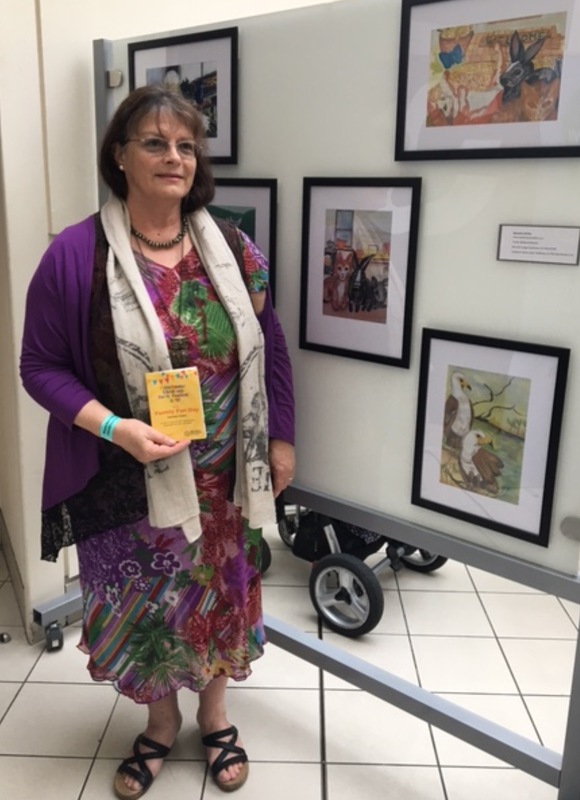 One of the things that got me going in all earnestness, was my grandchildren’s interest, not just in the stories, but also in doing the illustrations. It started out as just doing it to fill my time after my librarian post was localised, but their enthusiasm began to match mine and from there, things just widened out! Love the African context! Currently living in Ethiopia and its so rich in culture and nature. Do any of your books go there? In any case, a wonderful series, very well done. Hope today helps introduce your work to many eager young readers. Hi Maretha! These stories sound wonderful. I don’t have small children, but Im going to mosey on over to Amazon and see about that download for myself! Do you do the illustrations? They’re beautiful! Enjoy your party and happy writing! A really lovely post. Your animal friends are really charming and I loved the illustrations. Hope you have a great day today! Thank you so much for popping in. I appreciate your comments very much! Your stories sound so engaging and entertaining for children. Wonderful blog, thank you. Thank you for your interest and especially popping in today. I’ve certainly enjoyed getting to know fellow RRBC authors a bit better! Thank you so much, Lincoln. I appreciate your popping in today. A delightful post! I’ve shared on my blog. I think the blog is well set out and you give just enough well chosen comments from each book to make it inviting to read. I will definitely invite friends and colleagues to download, read these stories and leave a comment on your Amazon web page. Well done! Hi, Martha. It’s lovely to meet you and your blog is quite charming. Your books look delightful! Wishing you the best for today’s party! Gee, what interesting information. I am going to go all the way back up and read more in depth. 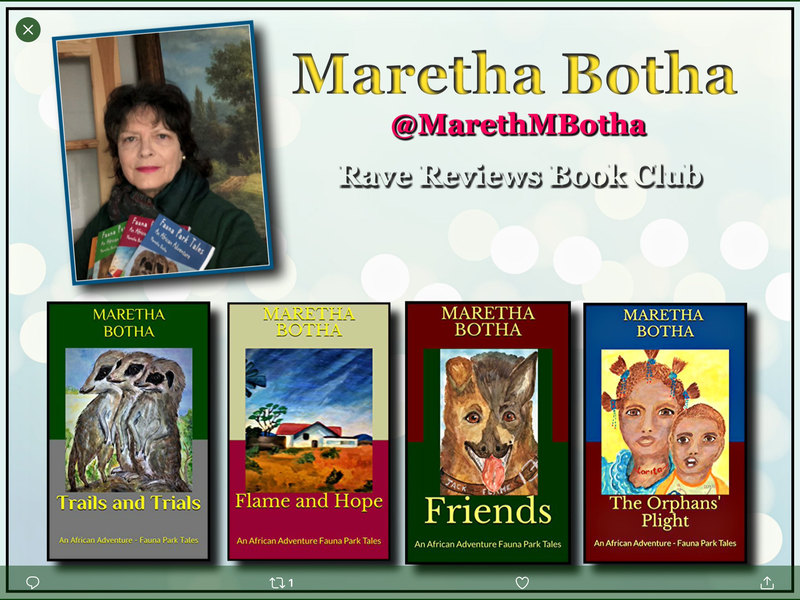 You are so interesting Maretha, and I’ve always wanted to visit South Africa, via motorbike! Thanks for a great stop along the tour! Your books look delightful and as an adult I love reading children’s books. What a wonderful talent to be able to illustrate as well as write. Enjoyed your post and hope to read your books soon. Maretha, please note my correct site. susanjoycejourneys.com. The other is no longer. No gravatar. Your comment on watercolours made my day. They’re tricky and to get the paintings to look good in black and white, without losing the natural flow of watercolours is so tricky. I constantly feel as if I have to compromise on some of the paintings when I have to add a specific line to highlight an object. What a delightful post. With two younger grandchildren I will look to your books as gifts for them. The drawings are wonderful. Have fun today. I like the artwork and settings of your books. Great post. I will be getting these books to read with my grandkids. You have such a wonderfully fun site, Maretha. I love all the imagery. Best wishes to you. Visiting your blog today is a real eye-opener, Maretha. I’m so impressed with this array of beautifully illustrated children’s books! Have a great day on the Block Party! Thank you so much John! I appreciate your encouraging comments very much. Kind regards. Nice to read about you and your books! Thanks so much, Bruce. I’ve been so happy to receive so much attention for my books. The books sound adorable, and the pictures are really great. I hope you are enjoying your day on the tour. Thanks so much for your kind comments, Rhani. I appreciate your interest. Hi Maretha, Your blog is a delight!! I love the stories, the artwork, it’s all simply wonderful. I hope I win some here :). If not I’ll have to buy them. Your blog site is wonderful and I really enjoyed your post along with your illustrations. It’s great to know more about you and your books. Have a great party today. Thank you so much for visiting my site today. I’m glad you liked the illustrations too! Sounds like some great books for my grandson just starting kindergarden. Lovely blog. I’m glad you liked my blog. I hope your grandson likes the stories being read to him. Maretha, thanks for taking us back to our childhoods! Great blog! Thanks so much, Nonnie. I’m very happy that I’ve had the opportunity to present my work to so many talented authors, getting to know them better as well. Thanks so much for popping in. I appreciate your comments very much! Thanks so much for popping in at my blog post. I’m glad you like the first two books. What wonderful books! I really like the illustrations too. It’s great to find out more about you and your writing and drawing. Thank you for sharing your work with us. I apologise for being late to the party due to travelling. I wanted to pop by to offer my support anyway. Shared on social media. I love the illustrations and the stories look wonderful!